Afsar Khan Zazai (born 10 August 1993 in Kabul) is an Afghani cricketer. Khan is a right-handed wicket-keeper batsman who is known for his batting skills. He effected nine dismissals in six games at the Under-19 World Cup qualifiers in September 2009. He was just 16 when he was included in the Afghanistan squad for 2010 Under-19s World Cup in New Zealand. In 2012, he played second Under-19s World Cup in Australia. He was just 18 when he made his first-class debut for Afghanistan in an Intercontinental Cup match in Sharjah. In second innings he scored unbeaten 84 in three wicket win over The Netherlands. The Netherlands were favorites to win when they had reduced Afghanistan to 111 for 6 in their chase of 233 on the second day. But Zazai did not give up and along with Mohammad Nabi’s 25 and Samiullah Shenwari’s 20 not out took Afghanistan to second position on the points table behind Ireland. Afsar added 76 with Nabi and an unbroken 46 for the eighth wicket with Shenwari. He hit 13 boundaries in his unbeaten innings of 84 from 156 deliveries. Though Nabi fell to Michael Swart with the score on 187, Shenwari supported Afsar as he carried Afghanistan to the target. 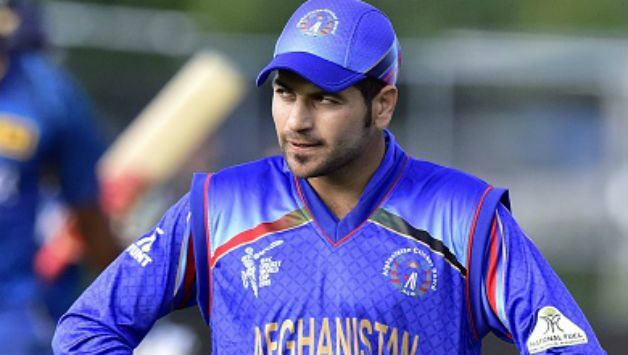 He made his One Day International debut for Afghanistan against the United Arab Emirates on 28 November 2014.